I’m in my motherland, but I have one small problem: I don’t know the language. However, that problem meant nothing today. 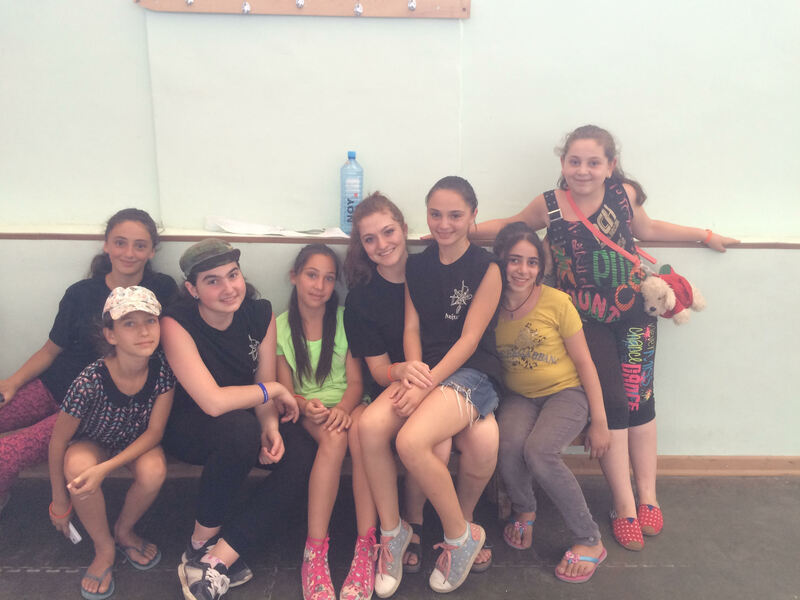 This past week we held our first camp in Askeran. The minute we stepped onto the school grounds with all of our boxes we were greeted by the many smiles of the kids excited for their week at camp. I’m sure I can speak for the entire group when I say that as excited as all of us were while heading to camp, seeing the joy in all the kids’ faces when we arrived boosted our excitement to a level beyond what we imagined. I’m not going to lie – after we separated into colors and met in the classrooms, there were quite a few awkward moments between us and the campers; But as we began to play games and sing, everyone began warming up to one another. I can honestly say that it is one of the best moments of any camp – when the campers and counselors form those bonds to help make camp worthwhile. Speaking of the campers, I’ve had the fortune of working with kids back home in America, but I knew there would obviously be a difference between the children here and the children there, yet I’m still astonished by the fact that the kids I met today, my campers, were so polite, attentive and eager to learn. They know how privileged they are to be here, and I couldn’t be more honored to be able to be a part of their experience. Even though I can’t verbally communicate with them, physical interaction and laughter are enough to take its place; for me at least. It did not hit me until we stepped foot in the Proshyan agoump; I felt a mix of overwhelming joy, zealousness, and hope. Joy because this agoump was none like any I have ever seen before; it had its own gym, filled with punching bags and weightlifting equipment, and that is only downstairs. Upstairs has its own astonishing features, such as the stone-walled conference room and the newly built dorm-like rooms full of brand new bunks prepared for our use. Proshyan is only fifteen minutes from Yerevan, and after a week of touring, mostly in the city, I became used to calling Yerevan home. After settling in at the agoump, we returned with our group to Yerevan for dinner; I couldn’t wait to get back to Proshyan. I’m sure it had something to do with us sleeping at the Proshyan agoump that made me call it home, but Proshyan was the first place in Armenia to which I felt an emotional attachment. Never before have I seen a city that widely expresses their Tashnag roots; nor have I seen a people belonging to a village that walk around with their Zeenanshan necklaces chained tightly around their necks, waiting for everyone to take notice. 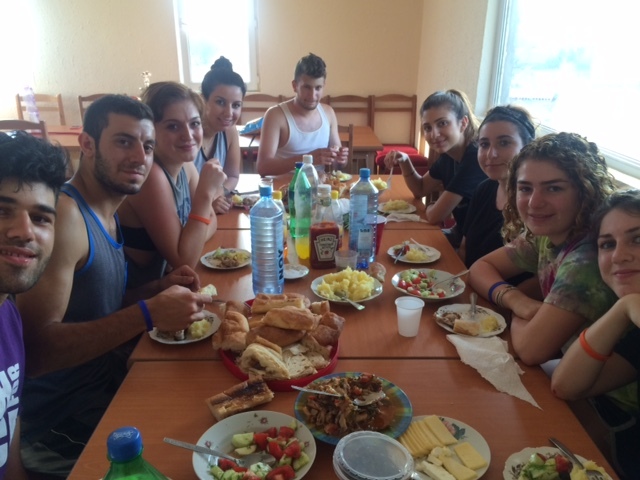 We all had a great week in Yerevan and my group was fortunate enough to spend Vartivar there too. However, by the end of the week all of us were ready to start having a different type of fun. We were all impatiently waiting to finally start camp and do what we really came to do. That day finally came on Monday, July 13. The first day of camp in Proshyan left me impressed and in complete shock. From the start the kids of Proshyan treated us with utmost respect and kindness, and welcomed us with the most overwhelming warmth. What really got to me was when seven year old kids started singing all four verses of Mer Hayrenik, and Mshag Panvor with such strength and pride. 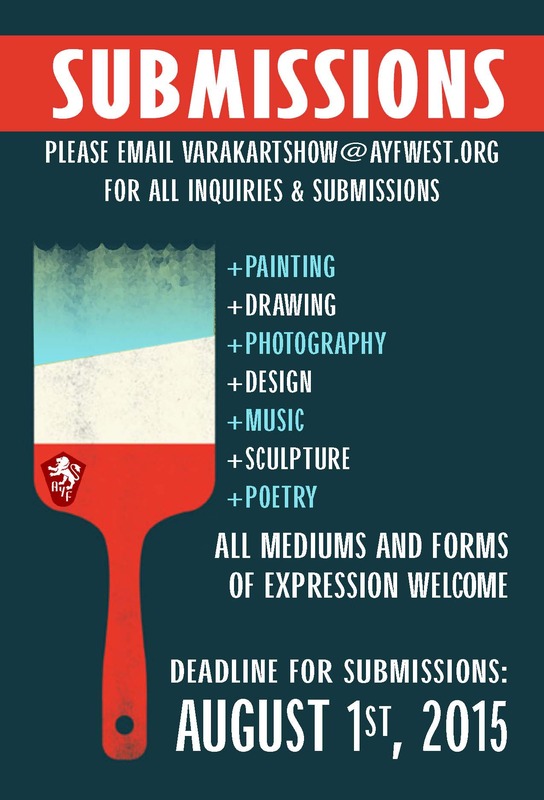 I always thought that the Diasporan Armenian youth expressed more patriotism than the ones living in Armenia, but now I’m not so sure that is the case. I felt proud but also disappointed and wished that campers back in LA were as enthusiastic about Hai Tahd, ARF, and the Armenian Cause. I know I’m quick to judge but after one day in Proshyan, I am positive that these kids will grow up to be prominent men and women making real changes in Armenia. In Proshyan not only did I meet new influential young ungers and ungerouhies, but I also connected with my new family- Harut, Mel, Koko, Kile, Talia, Taline, Ani, Paulina, and our group leader, Melo. Soon Paulina became my mom, and who knew Koko could make such amazing breakfasts. 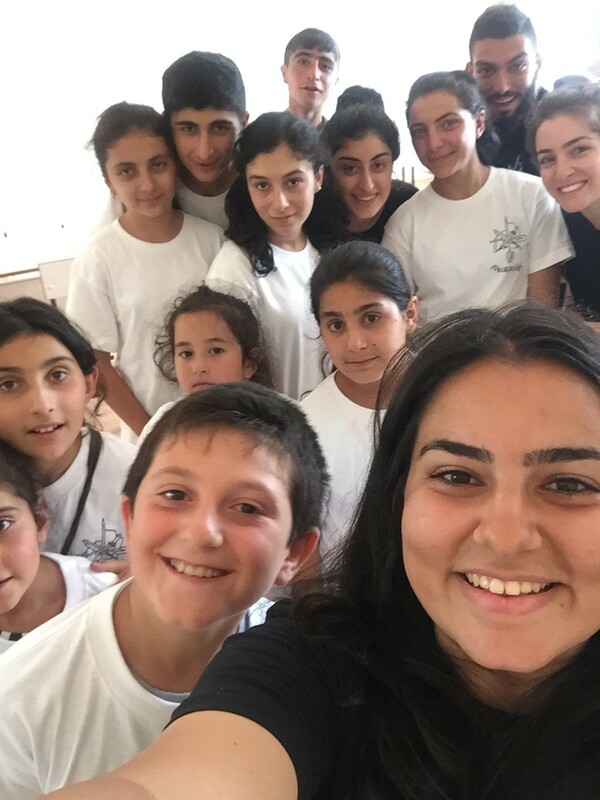 I know it’s only been a day but I’m just so excited to learn from the kids here in Proshyan, later in Gyumri and Artsakh, and from my fellow Youth Corps group members – truly my new family. One thing I hope to do on this trip is to make the campers remember me like they remembered past Youth Corps participants. There are no words to accurately describe the feeling I felt when we landed at Zvartnots airport. As I looked outside the planes window, I didn’t see beautiful city lights or glorious monuments as I had imagined. An older Armenian lady sitting next to me leaned over and said, “Shat seeroom hox chi, biac mer hoxna” (It’s not that pretty, but it’s ours). 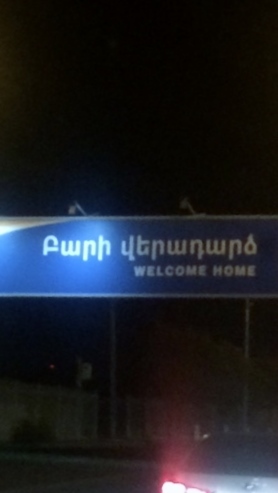 She was right… There was absolutely nothing around us that indicated we had landed in Armenia but there was this special feeling in our hearts that let us know we were home. Once we got off the plane, we gathered around arm in arm, and started singing Anoush Hayrenik. Most of our group members did not know each other prior to the trip but just after 3 days, we developed an amazing bond that I cannot imagine being broken. This special bond will only make our experience in the villages that much more exciting and efficient. With our energy levels and spirits high, we continue our journey to the villages where we will really make a difference in the lives of the campers. The thought of knowing a child is happy and carefree for a couple hours a day because of our presence is the ultimate feeling. Our homeland brings out the best in us and I’m confident it will positively impact our relationship with the kids at the camps. I hope to really grow from this experience and truly make a positive difference in these children’s lives. For starters, my name is Gasia Boghigian. 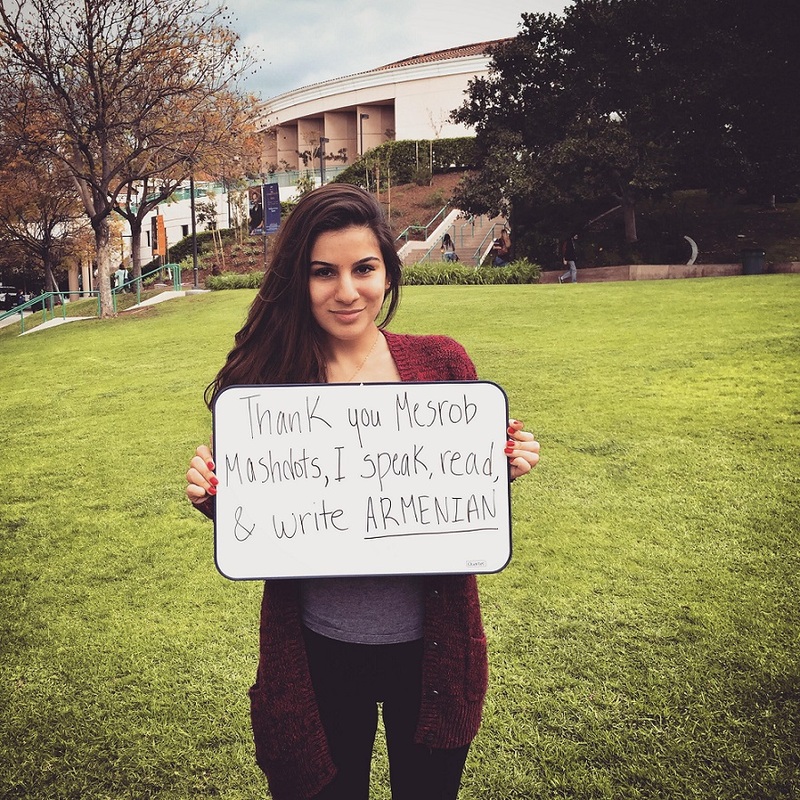 I am nineteen years old and I am from Glendale, CA; a city filled with a tremendously large population of Diaspora living Armenians. I have had a lot of diverse experiences throughout my young life, but one thing has remained consistent, the love and appreciation I have for the Armenia and the Armenian people. As long as I can remember, my parents have raised me to be the best Armenian (and best person) I can possibly be. 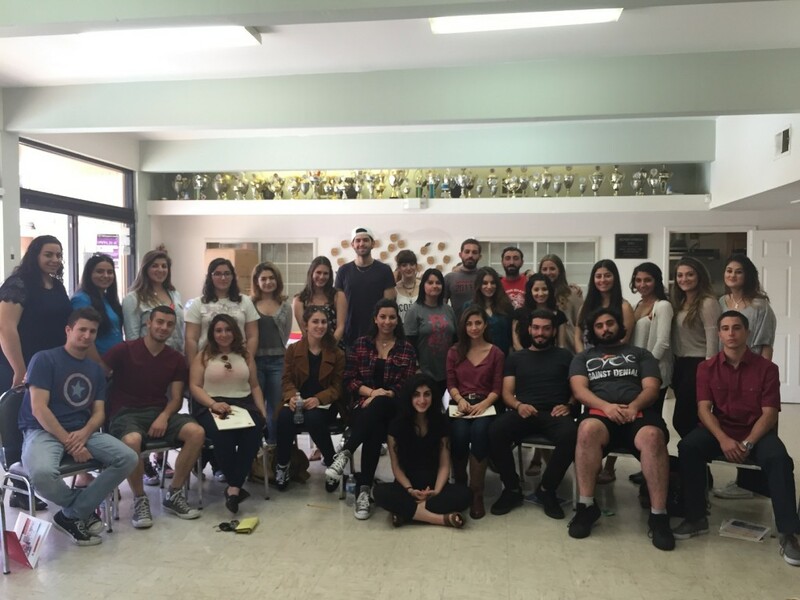 At the age of about seven or eight, I joined the Armenian Youth Federation (AYF) as a badanee (junior), and I can undoubtedly say that this organization has changed my life and helped shape who I am and who I have become throughout the years. 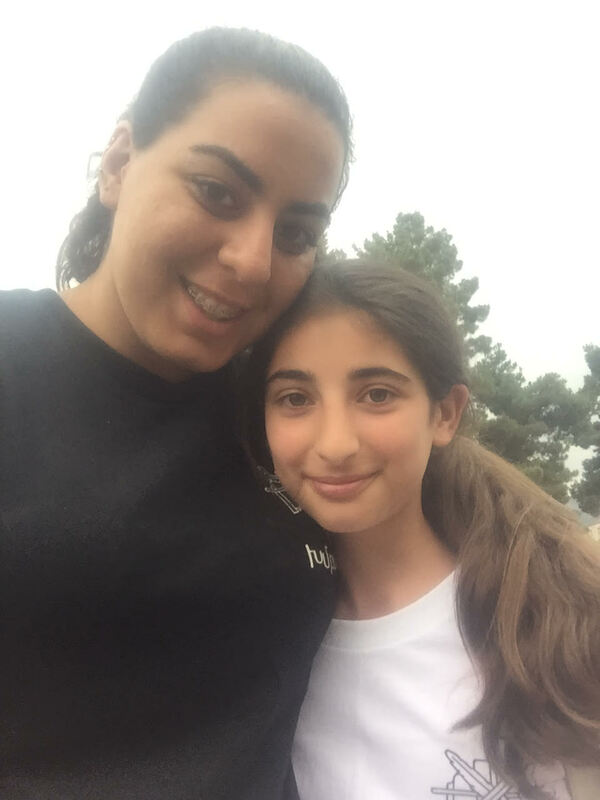 Since I became involved with AYF, I have not stopped hearing and learning about Armenia–both about the past and the present, this being something usual for most Diasporain Armenians. I have learned about our triumphant ancient civilizations, the tragic chapters of injustice, and about the resilience our people have shown as if I were an “odar” because learning about Armenians has been a history lesson all my life. Ever since I began learning more in-depth about Armenia, I have dreamt consistently about finally visiting my homeland. 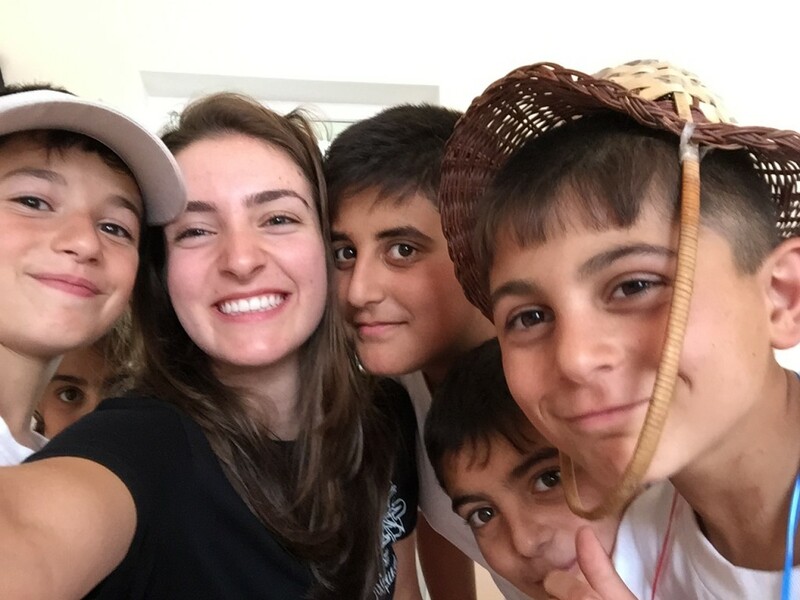 As an AYF member, for several years I have heard of a beautiful program called the AYF Youth Corps, that connects us (the diaspora) with Armenia and benefits thousands of kids in Armenia. This year I will be spending my summer in Armenia and Artsakh as a Youth Corps participant and one of four recipients of Sosé & Allen’s Legacy Fellowship, and I get to meet and get to know children and see and experience the place I have known without knowing. 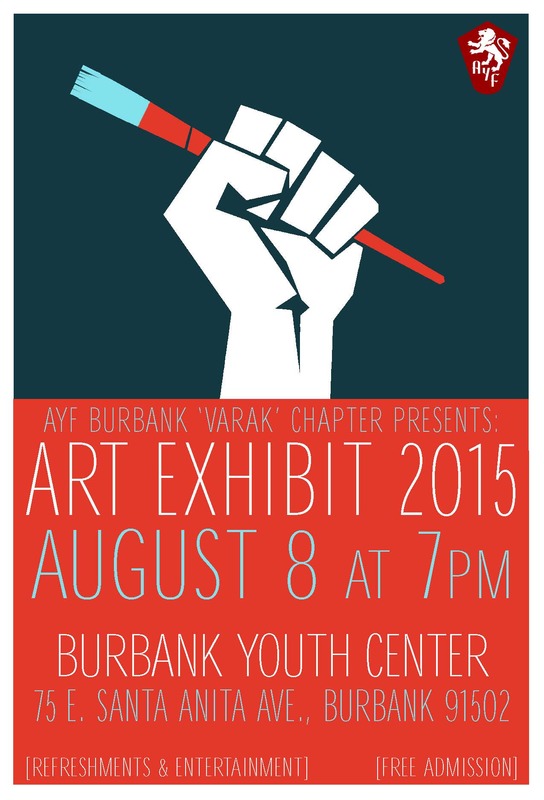 Quite frankly, I’m not sure what to expect, but I am anxious and excited! I have never been so impatient in waiting for something to happen in my life. Besides the ultimate fact that I have, since day one, learned about this magical place called Armenia, I have wanted to give back, help, and do much more at the best of my ability because I want to be a part of Armenia’s growth and the prosperity of the Armenian people. I can’t wait to share my stories along the way! The place I currently call home is in Studio City, yet I anticipate the visit to my motherland for the first time to feel as though I am coming home. I envision walking out of the doors of Zvartnots International Airport and breathing in the clean and unpolluted air, unlike that of Los Angeles. I’ll walk down the streets, entranced by the aroma of newly risen bread, and thrilled to embark on my journey. My quest will begin by visiting historical sites that I have been learning about since elementary school at Merdinian. I’m excited to finally see firsthand these landmarks that I’ve heard so much about. I am interested in interacting with the local people and getting to really know them, since all the individuals I am familiar with are a part of the diaspora. I presume that everyone in Armenia is kindhearted and hospitable, especially those who, during our camp sessions, will be preparing meals for and housing fifteen individuals they have never met. Some have asked why I chose the Youth Corps program for my first visit to Armenia. I do not wish to stay in a luxurious hotel in Yerevan and solely visit the monumental sites of my country. I would much rather make a child smile or assist them in making a lanyard. The making of a lanyard enables them to learn a new skill, and is an item they will treasure as part of the many memories they make at camp. Knowing that I made a child smile reassures me that they are genuinely enjoying themselves in that moment. Although the children are young, I’m certain the memories they make will be landmarks in their childhood. I am thankful to have been chosen to be a participant of this years Youth Corp family and am excited for the journey that lies ahead.